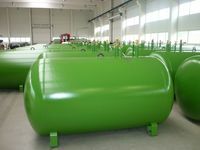 Underground storage tanks for heating or use in autogas stations are produced in standard volumes from 490l to 10000l in diameter Ø1250mm, or from 9000l to 40000l in diameter Ø2000mm, eventually for volume up to 125000l in diameter Ø2400-2600mm. 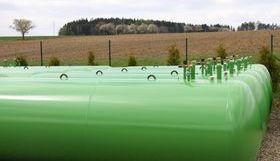 Underground tanks are delivered including the hoods. As standard we offer all stainless steel hood Ø800mm, adjustable in height 550-650mm, with stainless steel lid. The adjustable design allows you to elegantly eliminate the unevenness of the terrain in which the tank is installed. On demand we supply also plastic hoods Ø700mm (green).